Last week I had the opportunity to attend SANS DFIR Prague where I completed the SANS FOR578 course “Cyber Threat Intelligence” (CTI) with Robert M. Lee. Robert is one of the co-authors of the course and is brilliant instructor that really knows his stuff. Everything stands or falls with the quality of the instructor and I believe Robert did give us (students) a great learning experience with great interactions and discussions. Among other things Robert is the CEO of the security company Dragos Security and has worked in the US Air Force which allows him to talk genuinely about the “intelligence” topic. Overall this was a five day course that immerses the student into the new and emerging field of CTI. During the five days we lived, ate and breathed being a CTI analyst. Being a CTI professional is not an easy task and it’s not in five days that you can expect to become one. However, in my opinion, if someone has the desire, as well as the ability, this course can give you the means. I’m sure this course gave me important skills and competencies about this new, emerging field. One key take away from the training is that it gives you the foundations to create a threat Intel capability into your organization and enables security personnel to develop more proactive and mature response practices against threats and move defenses higher up the kill chain. The first day is a comprehensive introduction to the new Cyber Threat Intelligence (CTI) domain, with a wide range of topics and terminology being covered. What is threat intelligence? Why should organizations adopt it? What is the value? What is the difference between a consumer and a producer of CTI? What are the different types of CTI? In addition, background on the intelligence doctrine and its life cycle is also discussed. The afternoon was spent on the different frameworks and models that you can use to create consistent and repeatable CTI outputs. The Kill Chain, Diamond Model, Courses of Action Matrix and the Detection Maturity Model were the ones most covered. Day two was all about enforcing the models presented in day one with special focus on the Kill Chain model. Lots of exercises supported by a network intrusion scenario where we (students) needed to perform different tasks to put in practice the theory from day one. The way the intrusion attributes, properties and artifacts are mapped to the Kill Chain, Diamond Model and Courses of Action were really useful. Because the frameworks discussed are complementary they can be combined in order to produce multi-dimensional analysis of the intrusion. 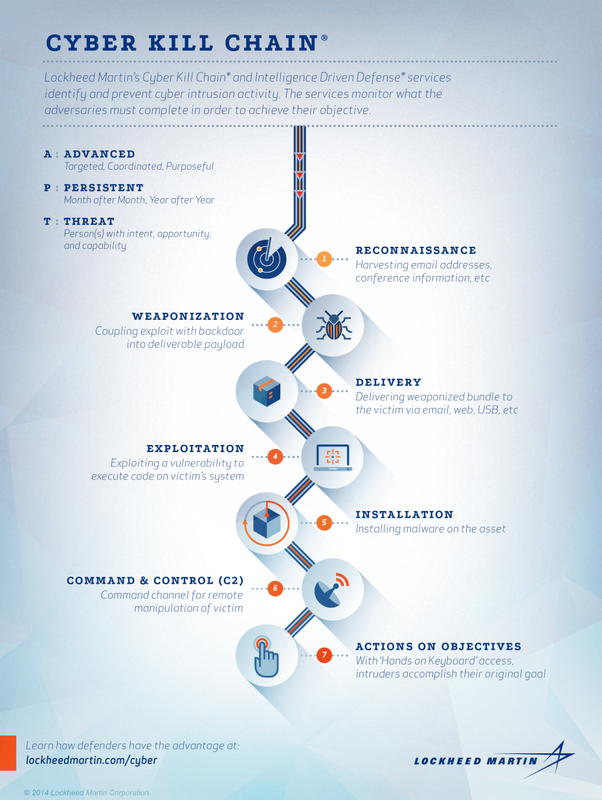 I think this multi-dimensional approach to intrusions gives great insight about the adversary. Although a time consuming exercise it was great to get a feeling about what a CTI analyst might do in a organization with high security risk that need to have mature and dedicated teams to perform this type of work. By leveraging the intelligence gained overtime during the analysis of multiple intrusions we start to get an understanding about commonalities and overlapping indicators. Mapping these commonalities and indicators to the intrusion kill chain and diamond model results in a structural way to analyze multiple intrusions. By repeating this process we could characterize intruders activity by determine the tactics, techniques and procedures on how the attackers operate i.e., perform a campaign analysis. This was day three. A meticulous work that is built over time and needs great amount of support from your organization but after execution it will produce great insight about the adversary. In terms of tools, the exercises relied heavily on Excel and the fantastic and open source Maltego. Day four was focused on the different collection, sharing and ingestion methods of threat intelligence. The primary method of collection discussed was trough threat feeds. Other collection methods such as OSINT and threat Intel produced inside the organization or received trough circles of trust were also discussed. For sharing, a key take away is that partners with strong non disclosure agreements are very efficient. Still, in the sharing realm delivering context is crucial in order to make it actionable. Furthermore, we discussed the roles of the different ISAC and other organizations. Regarding the ingestion, the material has very good coverage on the different standards and protocols that have been developed in recent years to collect share and consume technical information in an automated way. The focus was on STIX, TAXII. We also reviewed other methods and standards such as OpenIOC and Yara rules. In regards to the tools and exercises we had the chance to play with Recorded Future and Threat Connect and and develop OpenIOC and Yara rules. SANS posture overtime has been always vendor neutral but I must say the Recorded Future demo for OSINT is well worth and the tool is really amazing! The material on day five is more abstract. Special focus on how people – analysts – make conclusions. For example we discussed the difference between observations and interpretations and how to construct assessments. Great amount of material about cognitive biases and how it might influences the work performed by an analyst. During this day we were also exposed to the analysis of competing hypotheses (ACH) methodology by former CIA analyst Richards J Heuer, Jr. The exercises were really interesting because we had to evaluate hypotheses against the evidences we found during the intrusion analysis of the different scenarios. By the end of the day we immersed into the topic of attribution and discussion about nation state capabilities and the different cases that have been known in the industry. Of course apart of the training, was great to attend the DFIR Summit, absorb information, play DIFR NetWars and more important meet new people, share experiences and see good old friends!